Ultrasound therapy reduces soreness and relaxes muscles. "Speed your healing" with ultrasound therapy at Canyon Chiropractic. Are you in pain due to problems with a joint, muscle, or tendon? 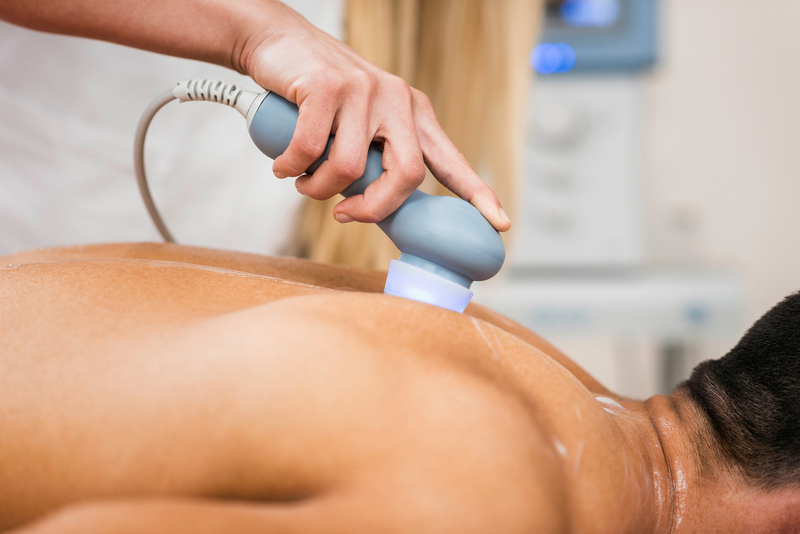 Speed your healing and reduce pain with ultrasound therapy at Canyon Chiropractic. This painless treatment uses sound waves to penetrate tissues, creating a heat response for muscle relaxation, arthritic type conditions as well as relief for scar tissue and adhesions. Benefit from increased blood flow to your problem area and experience relaxed muscles. Undergo a treatment that will help you get back to your normal life activities as soon as possible after undergoing an injury. The professionals at Canyon Chiropractic have 38 years of experience helping people to recover from accidents, neck injuries, or other painful conditions. Know that you will receive a custom treatment plan using the most innovative and effective treatment therapies available to get you in tip top shape as quickly as possible.